After the bombshells dropped during last year’s Autumn Statement, George Osborne’s March 2016 budget was a little less dramatic for those involved in the London property market. 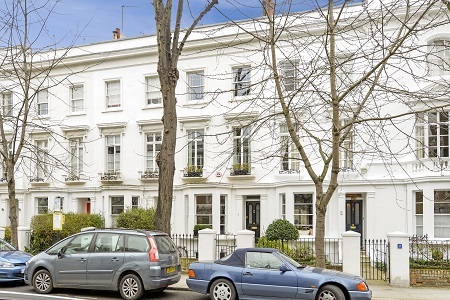 So what does the budget mean for for London property? This was a budget focused on other areas such as reducing the tax burden on small businesses and rewarding those in work with an increase in tax thresholds. There were no large surprises to match the 3% extra Stamp Duty levy on second homes and buy-to-let investments announced in 2015. However there were some adjustments to tax that will affect property owners and infrastructure announcements that will impact London. Many people, particularly those with multiple investments will be pleased at the reduction in Capital Gains Tax from a top rate of 28% to 20% and a rate of 18% to 10% for basic rate tax payers- but sadly that doesn’t apply to profits made from property where gains will still attract a top rate of 28%. This announcement is an extension of this Government’s approach to disincentivise people from buying property purely as an investment. George Osborne also announced that large investors will not be exempt from the 3% Stamp Duty surcharge that comes into effect in April. It was originally thought that those with 15 or more properties would be exempt. Many in the industry fear this may have a negative impact on the emerging build to rent sector which is so crucial in providing housing in London. This extra surcharge will apply to housing associations as well as commercial investors. 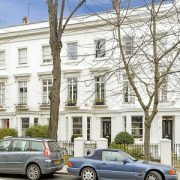 Surprisingly to many involved in the London property market, Osborne announced that Stamp Duty revenues from the most expensive properties have increased in the last year. This is despite the much-reported slowdown at the top end of the market. Osborne announced that the higher Stamp Duty rates are forecast to generate an extra £630 million for the treasury in 2016/17 rising to £855 million by 2020/1. Another small but significant announcement for property investors is that those buying a second property will have a window of 36 months to sell their primary residence and claim a refund on the extra 3% Stamp Duty levy. That means you can own two properties for three years without having to pay the extra charge. This time period has been doubled from 18 months. In his infrastructure announcements, George Osborne confirmed that Crossrail 2 will be commissioned. The proposed route runs from Broxbourne in Hertfordshire through the heart of London to Surrey, linking up with the route of Crossrail 1 and increasing transport capacity across an ever-growing city. This announcement will no doubt trigger regeneration around the proposed stations on the route, particularly in North London. Interestingly, it was announced last week by Mayor of London Boris Johnson that a Crossrail station in North Kensington is back on the agenda at the Kensal Gasworks off Ladbroke Grove. If this goes ahead, the North Kensington area will benefit hugely from the vastly improved transport links that Crossrail will bring. It was also announced that the Greater London Authority will also get to keep the revenues generated from business rates, allowing it to re-invest the money locally rather than it being used on a national level. This can only be good for London. Other interesting tax changes for property owners include a tax-free allowance for those conducting business online. So whether you’re selling on eBay or renting out a room via a site like AirBnB, your first £1,000 will be tax-free! This will not go down well with landlords facing a raft of tax rises over the next few years. Do you need advice after yesterday’s Budget? We’re here to help.